Past weeks I worked hard on preparing for release of the OVERVIEW. It is now online on Vive Port, the Steam page is also online, but release there will be within few weeks. Oculus Store need some additional work. The major changes in VR are implementation of the “gaze controls”. This is a way to interact with interface without mouse or VR controllers. Once menu or some dialog window is opened, a dot-like “cursor” appear on it, which follows the user view. It works like a mouse cursor duplicate: if the new control “GUI interaction” is bound on some gamepad button, it acts as a mouse left-click. I also added a new analog control to duplicate mouse wheel for ease navigation using scrollbars. This control can be bound to gamepad axis or controller touchpad. So now SE is almost fully functional in VR: you can access any UI window and use it by VR controller or gamepad, without need to fumble mouse and keyboard or take off the VR helmet. The only remaining things for VR are implementation of some replacement of a side screen toolbars (I thinking of a special “palettes” attached to VR controllers), and better implementation of the Solar system browser, the Chart and the Map. The latter two are not tested in VR, and may be really bugged out. Other interesting usage of the gaze control is ability to interact with UI without pressing any hardware button at all. I implemented this for the main menu buttons in the OVERVIEW. Once user looking on a particular button, a slowly filling progress bar appears on top of it, and if user continue looking until it fills up, the button is triggered. This style of control is familiar to Oculus users. 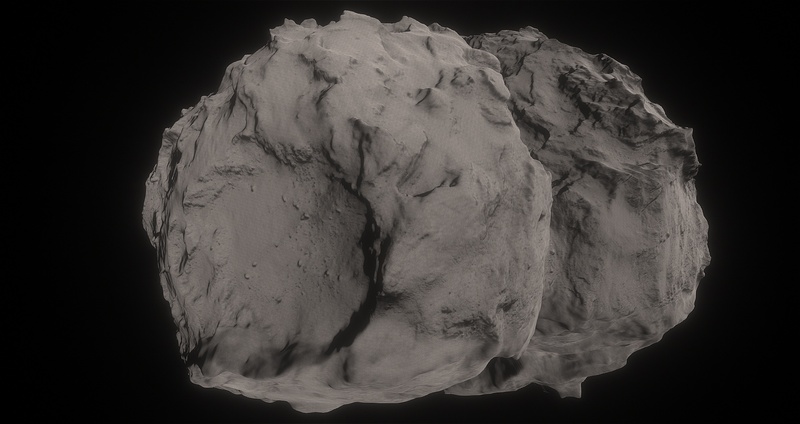 I am also worked few days on importing an awesome model of the Churumov-Gerasimenko comet made by Mattias Malmer. He gently provided me the latest version of model and textures. 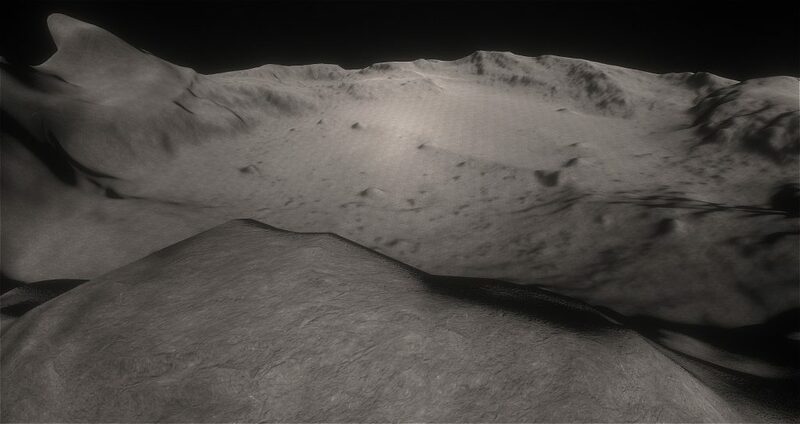 Model has 4 million triangles, and textures are 8k*8k (albedo + normals), which is too much for release. 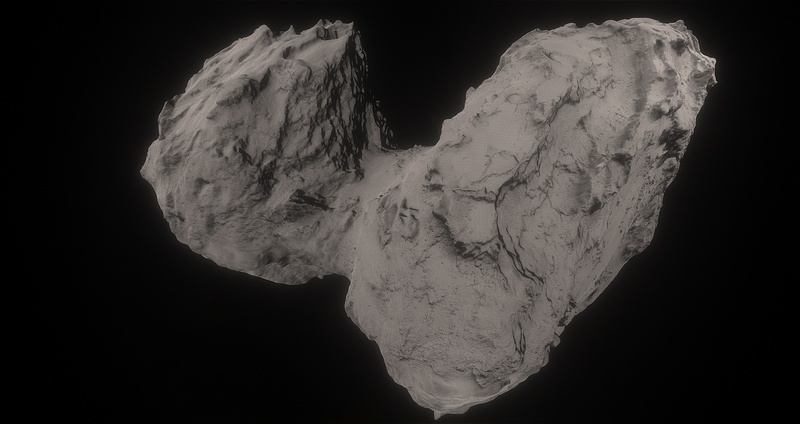 Loading of such huge textures causes a 30 seconds lag, because SE does not have asynchronous texture data transfer from CPU to GPU (comet model is implemented as a ship model, and ships, unlike planets, uses a textures that must be loaded into GPU entirely). I reduced textures to 4k*4k and tried to optimize the mesh to reduce polycount (unsuccessfully). On the other hand, I am able to run the full-resolution model on my PC at 60 fps (I have GTX 780), so it could be released as an addon. It loads the sm file, converts it to a new format (integer) and saves with a different file name. You must update the ship’s cfg file to specify new path and/or change Unit, because converting to integer values requires re-scaling of the model. This is to save spatial resolution (because int16 has a limited accuracy) and avoiding running out of the int16 range (-32768 to +32767). I will update the creating ship tutorial with a detailed description of the process after 0.990 release. These screenshots are taken without the normal map, because there are a problems with importing models from the obj format (incorrect computation of the tangent space). 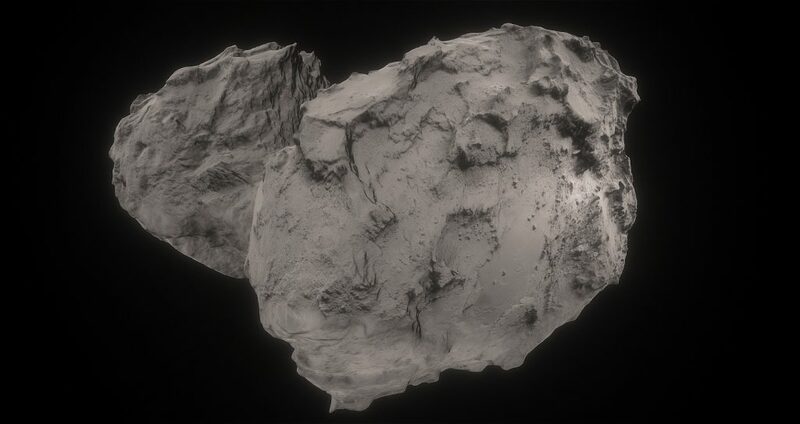 As long as this is actually a ship model, and ship shader supports detail textures, one can use that: add some rock detail texture to improve surface appearance from a close distance. The repetition pattern is highly noticeable, this is why I implemented a complex texturing method to terrain, described in this blog post. Similar method must be added to a ship shader. 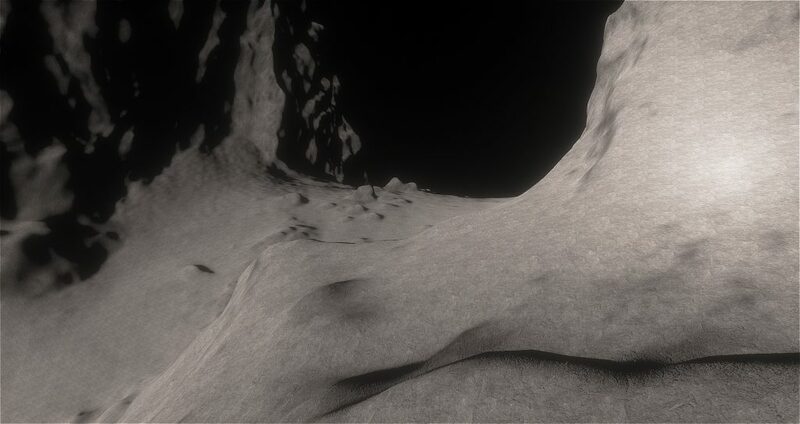 I also added the opposition effect (Hapke BRDF) to simulate light scattering from a dusty surface of a comet (you may notice it on the two last screenshots). Next major update of the OVERVIEW certainly must have a chapter about this comet. It looks awesome in VR! Discuss this post on the forum.